MRF Brick Works is one of the leading manufacturers of Bricks. distribution in the firing zone. 1.Use of German technology in firing Tunnel kiln. 3.Temperature around 900 Degree Celsius or 1652 fahrenheit. 4.Highest compressive strength 40 Kg/Cm2 or 4 Mpa. 5.Committed & Known for 1 or 2 % Wastage. 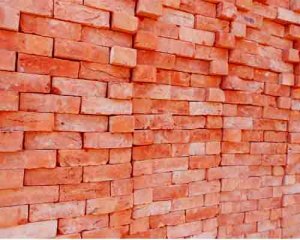 6.Supply only 100% right Quality Bricks Without Broken pieces & Unburned Bricks. 3.Temperature around 1400 Degree Celsius or 2552 fahrenheit. 4.Highest compressive strength 60 Kg/Cm2 or 6 Mpa. 5.Water Absorption <12% Weight of the Bricks. 6.Committed & Known for 0% Wastage. 7.Supply only 100% right Quality Bricks Without Broken pieces & Unburned Bricks. How to Check Quality Bricks. 1.One of the easy ways to assess the brick quality is to strike two bricks together. A hard ringing sound ensures that the bricks are strong enough for any ordinary work. 3.All can be of same size but most of them should be almost same (6"x4"x3") size. 4.They should be uniform in size with sharp edges and angles. 5.The Bricks must be smooth and rectangular in shape. 6.The accurate size and shape of the bricks ensures a neat work.